Tame your mind. Open your heart. ​Serve the world. Join us and explore ancient Buddhist wisdom and the bodhisattva path in contemporary life. ​We integrate both traditional Buddhist methods of study, self-reflection, inquiry and meditation with secular, empirically-based practices of mindfulness, altruism and self-compassion. for as long as space endures, and for as long as living beings remain, may I too abide to dispel the miseries of the world. Get to know our local teacher, Sue Kochan, through a recent Dharma Teaching (1/12/2019) given at the Dharma Refuge Practice Center. Join Chakung Jigme Wangdrak Rinpoche and Sue Kochan for a weekend of Being Bodhisattvas—entering the path of the courageous ones, the great masters who’ve trained in rousing and realizing the best of who we are as human beings. Upholding the unbroken lineage of bodhisattvas, these two teachers from very different cultures will share the undiluted wisdom and practices of this profound and practical path with fresh language, contemporary relevance, and great reverence. 2019 Lab Schedule. 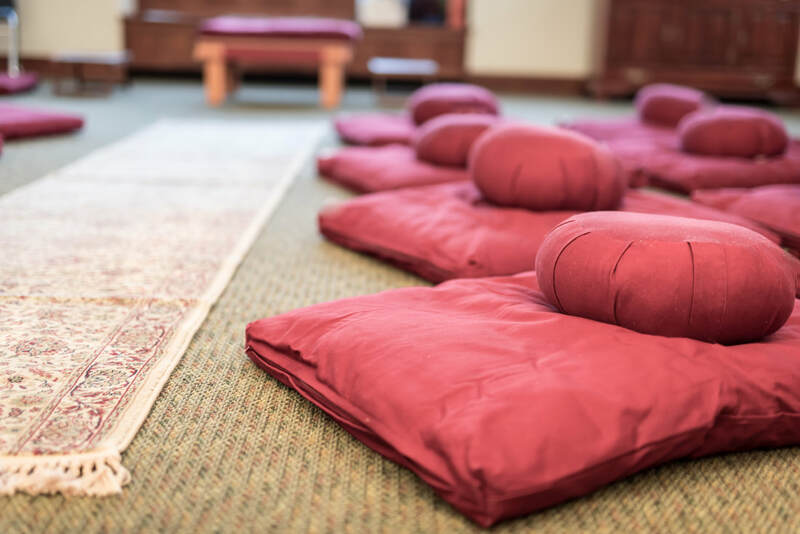 Learn Buddhist meditation fundamentals, popularized as mindfulness, in a relaxed and interactive environment that emphasizes direct experience. Labs will focus on establishing concentration to calm the mind. Instruction will be informed by neuroscience, vipassana (insight), compassion, and mindful self-compassion practices. Learn more and register. Saturday's throughout the year we offer full days of silent meditation. This is a wonderful way to deepen your practice. You're welcome to attend the full day or any part of the day that fits your schedule. See the daily schedule. Join us for a this Mahayana series of retreats introducing the profound and transformative path of the bodhisattva. Led by Sue Kochan and utilizing a pre-recorded program of study with Pema Chodron, How to Live with Compassion and Courage.